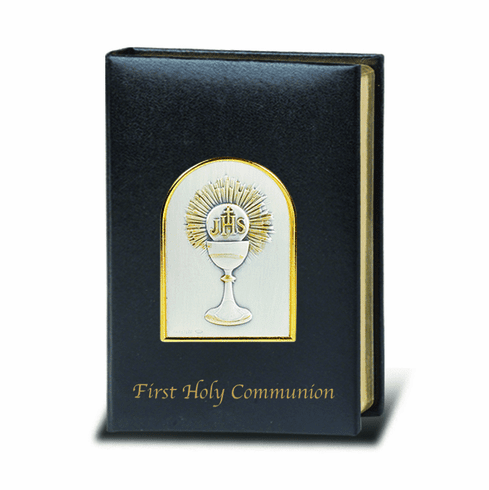 Paddled leatherette deluxe Trinity Missal with gold edges and Salerni Sterling Silver Image on the cover. This Missal contains 184 pages. Revised version. Made in Italy.